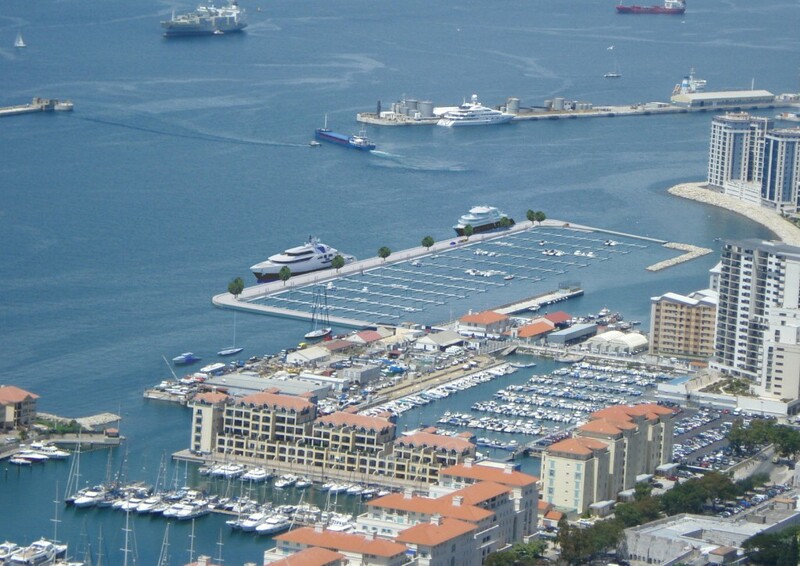 The Gibraltar Government has announced plans to begin development of a new 700 berth marina in the mid-harbour area and will incorporate 400 six-metre and 300 eight-metre finger pontoon berths. 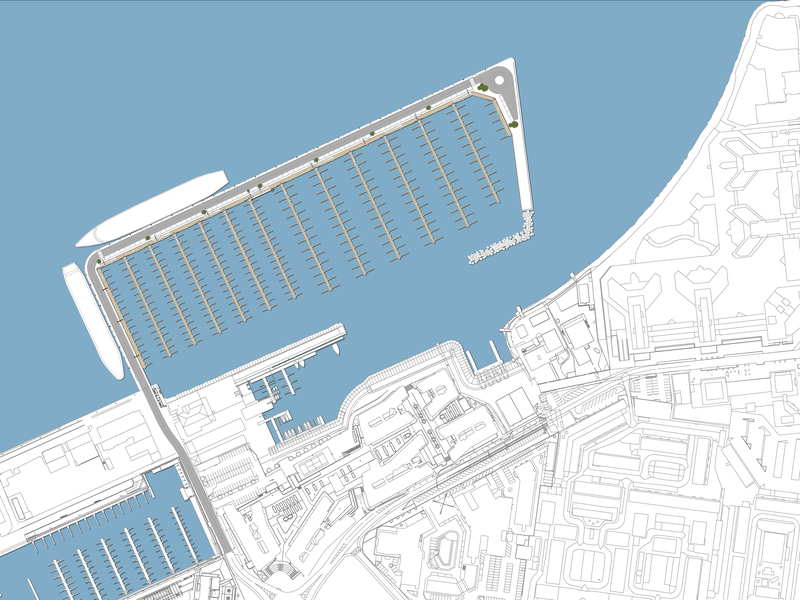 Almost 500 metres of superyacht berthing will be created alongside the harbour wall which will begin to address the shortage of large berths on The Rock. The marina will have electrical and water points, secure entry to the pontoons and CCTV security cameras. The construction will be a caisson vertical wall design wharf. This will be the first time in recent history that new commercial wharf facilities have been constructed in Gibraltar. There will be two lanes for traffic, a roundabout at the end of the wharf, a public promenade and parking for over 50 cars and for motorcycles. In preparing the project, the Government has commissioned a number of studies including a geotechnical survey to determine the composition and characteristics of the seabed where the wharf will be constructed and a wave study. In addition, an Environmental Impact Assessment (“EIA”) has been carried out and an Environmental Statement produced. The result of the EIA is that, subject to a small number of recommended mitigation measures, the potential impacts of the construction and operation of the small boat marina are considered to be negligible or minor. The Environmental Statement will now be considered by the DPC.